Oil spills can have severe consequences on the environment, but what dangers do they present in the workplace? 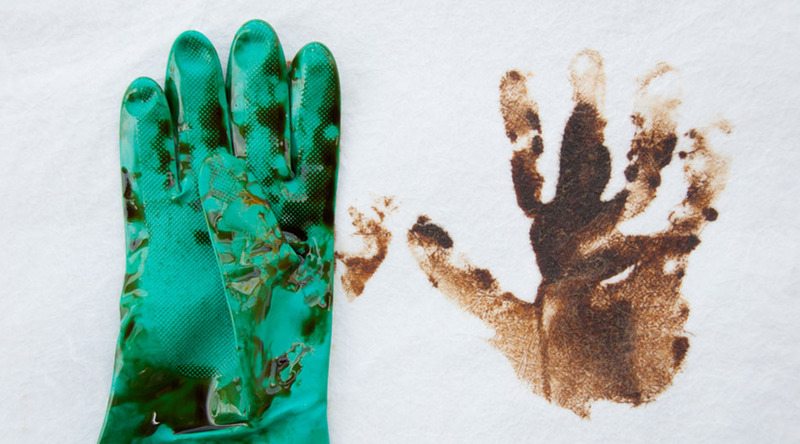 Read on as we explore the potential hazards of oil spills and just how effective our new EnviroPad range is when it comes to spill containment. 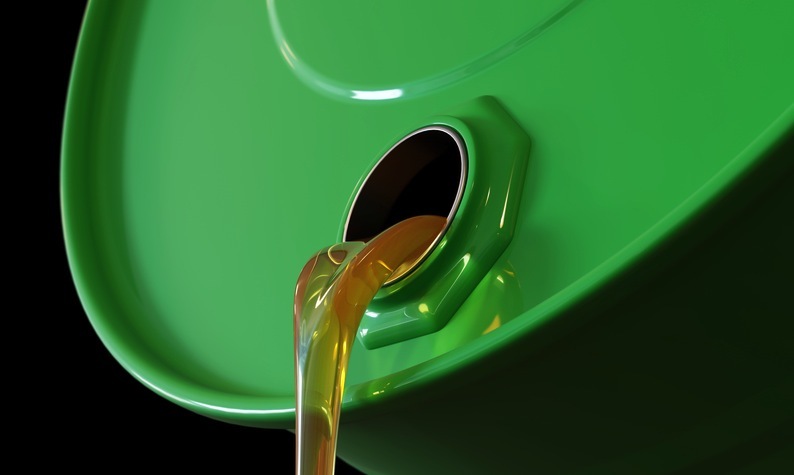 If you’re unaware, oil is one of the most widespread and common pollutants in the UK. It’s used in large quantities in many different industries, and just a small amount can have lasting effects on the environment and wildlife – but what about in the workplace? It’s typical to find forklifts, trucks, and industrial equipment in warehouses and they depend on using oil and similar chemicals as fuel. If this is relevant to your business, then you’ll need a cost-effective spill containment solution that won’t let you down in case of a leak or spill. You need to safeguard against these unfortunate, but likely, hazards by having solid procedures in place. If you don’t, then you’re automatically increasing the chances of workplace slips and falls. Not only that, but oil and other fuels are highly flammable and can catch fire if exposed to even the smallest of sparks. Can you avoid oil and fuel spills? Chances are, you can’t. You can safeguard against them and prepare for them, though. Our newest range of products, the EnviroPad, can play a vital role in your spill prevention and clean-up plan. These mats utilise innovative, clever technology that turns hydrocarbons into a rubber-like mass, without a liner. They bond the oil and permanently immobilise it, which prevents the chance of further leakage. The EnviroPad helps catch a spill and eliminates the chance of slips and falls, as well as dramatically reducing the chance of polluting the environment. You can place pumps, generators, and other equipment on top of these mats in advance of a spill, or deploy them once a spill occurs. Ready to introduce the EnviroPad into your spill containment solution? Check out the range on our website or call a member of our friendly team on 01724 281044 and we’ll help find the right solution for you! This entry was posted in Spill Containment and tagged EnviroPad, spill containment on April 4, 2017 by neil.stocks. The sums your employer spends on oil spill clean up products could be high or low, but either way they’ll tell you a lot about the company you work for – and maybe some home truths about yourself as well. American good business campaigner Tom Peters summed it up when he said that dirty trays on an airliner might well be a sign that its engines weren’t properly maintained either. But before we get into the detail, let’s consider the cost of not cleaning up an oil spill, which can be huge, on the emotional as well as financial front. A real-life example concerns the bakery worker who, in August last year, slipped and fell on a floor contaminated with oil and water. She banged her head on the floor and died in hospital the following day. It’s fair to say that she wasn’t wearing company-approved footwear, and the shoes she had been wearing were a poor choice, but I have no doubt that’s of little comfort to her boss or the company owners. I’d suspect they spend a lot of time trying to answer the question ‘What if…?’ about cleaning up oil spills and enforcing the company’s clothing policies. And the amount of time and money spent on going through the courts hardly bears thinking about. The company would need to sell a lot of bread rolls to cover those bills, but it’s impossible to put a value on the human cost. That’s an extreme example of the point I’m trying to make; that simple oil spills can turn out to be very expensive. Scenario 1: If your company doesn’t spend much on oil spill clean up products, perhaps it doesn’t need to because the workplace is clean, so there’s nothing to clean up. Possible deductions: Well-maintained machinery; well-trained workforce; infrequent spills; good company; secure future. Scenario 2: But what if there’s a permanent sheen of oil on the floor, with workers slipping about the place like an industrial version of Dancing on Ice, and the company spends nothing on spill clean up products? Possible deductions: The company doesn’t care, and is running the risk of ending up like the bakery I mentioned earlier; ill-trained workforce; ill-maintained and old machinery; inefficiency; company not operating as cost-effectively as it might; long-term profitable future in doubt. All are possible, or it could be a combination of all of these factors. Scenario 3: New oil spill clean up products are delivered almost daily; everyone knows how to use them correctly, and does so. Possible deductions: Oil spills caused by infrequent machine maintenance; sloppy working practices; money wasted; insufficient management focus on what’s important to efficient processes; willing but untrained workforce; company under pressure from better-organised competitors. Scenario 4: Oil spill products available at strategic points around the factory, but very infrequent deliveries because the products are rarely used, in spite of oil on the floor. Possible deductions: Disinterested workforce; management short-sighted and out of touch; disjointed manufacturing process and control; company future at risk from financial impact of worker injury. Scenario 1: Full marks; keep doing whatever you’re doing to the same high standard. Scenario 2: Wake up and smell the coffee. Oil spills are signs that a business isn’t as good as it so easily could be, and you’ll eventually slip up – literally and metaphorically. If it’s your business, invest in some oil spill clean up products like these, and train people how to use them. If you’re an employee, show the boss this blog, and explain how you’d like to be trained about controlling oil spills and cleaning them up. Scenario 3: Great, you’re cleaning up, but it’s time and money wasted. Work out why spills are happening in the first place. Getting to the root cause and eliminating spills will allow the business to be more efficient, and you can get on with what’s important – doing business, instead of lavishing time on side issues that are a drain on resources. Scenario 4: This is a major training issue, and everyone in the company needs to shoulder some of the blame. Workers shouldn’t be spilling oil; managers shouldn’t be creating the situation that allows spills to continue unchecked. Time for a root and branch analysis of systems and procedures, and the introduction of measures to make the workplace clean and safe. It’ll improve the long-term balance sheet too, and workers need to understand why that’s important to them as much as the company. This entry was posted in General and tagged oil spills on September 27, 2016 by neil.stocks. Containing an oil drum spill is about learning one simple lesson: preparation. If you’re ready for it to happen, as it surely will eventually, then you have it covered. So what’s the best way to prepare for an oil drum spill? The answer will always be: ‘store drums on an oil drum spill pallet’. Of course by the time the oil slick starts to spread over the workshop floor, and is further dispersed by people walking through it, then it’s too late to order one. The time to order an oil drum spill pallet is now, so it’s in place and ready for action when the spill happens. At the top of this blog we said that we wouldn’t bombard you with complex law. Here at Spill Control Centre, we are true to our word. The relevant legislation is important but we worry about this so you don’t have to. If you buy a product from us you can be comfortable in the knowledge that every product in our range has been designed to comply with all the relevant rules and regulations. That means you should be reassured that by buying from us you’ll comply with all the relevant laws – so long as you use the product in the way it was intended, of course! What is an oil drum spill pallet? So, in our view, the key to containing an oil drum spill is to get an oil drum spill pallet. These oil drum spill pallets are as close to ‘fit and forget’ technology as you’re likely to find, because essentially they are a robust and corrosion-free container. Completely seam-free, they are moulded bunds topped by a grid on which a number of drums or a couple of IBCs (intermediate bulk containers) can be stored, with sufficient space beneath to hold the complete contents of the drum or drums with room to spare. Rather than running all over the floor, spilled oil drops through the grid into the bund, where it is contained, and from where it can easily be gathered. The strength of the pallet is such that each model is perfectly capable of holding the drums it’s designed for, up to and including fully loaded IBCs. The pallets are easily moved using forklifts, but are not designed to be moved with their pallets in place – those need to be taken off first. To give some examples, the largest product in our range is this Prestige model, capable of holding two IBCs or eight 205-litre drums, or a combination of both. It has a four-tonne safe working load. At the other end of the scale, amongst the most popular are our Econobund products, which come in two-drum and four-drum versions. Across the range we have spill pallets that are best suited for indoors and those that are best suited for outdoors. To us, they are the ultimate spill containment measure and help to prevent and contain oil drum spills. Why not visit our website and ask us a question on Live Chat, we will be happy to go into more detail with you. This entry was posted in Spill Containment and tagged Oil Drum Spill, spill containment on August 17, 2016 by neil.stocks. Our quiz about absorbent granules has been designed to help you to stretch your knowledge and be prepared to deal with any spillages that occur in your workplace. In answering these questions, you will discover just how much, or how little, you know about absorbent granules – but be warned; although it’s a multiple choice quiz there may be more than one right answer… or there may be none at all. Don’t cheat by scanning down to the answers first; do that and you won’t know what you didn’t know. 1. Absorbent granules can be made from materials containing which of the following? 2. Spill-Aid is the best-selling super absorbent in the UK, because it can be used to absorb all liquids of any viscosity, with one exception, from any surface. Which of the following is the exception? 3. Which of the following is a kind of clay used to make an absorbent granule product? 4. A 10g sachet of body fluid absorbent granules is enough to soak up how much blood, urine, vomit or saliva? 5. True or false: When absorbent granules have done their job, they can safely be swept up and dumped in the nearest waste bin. 6. 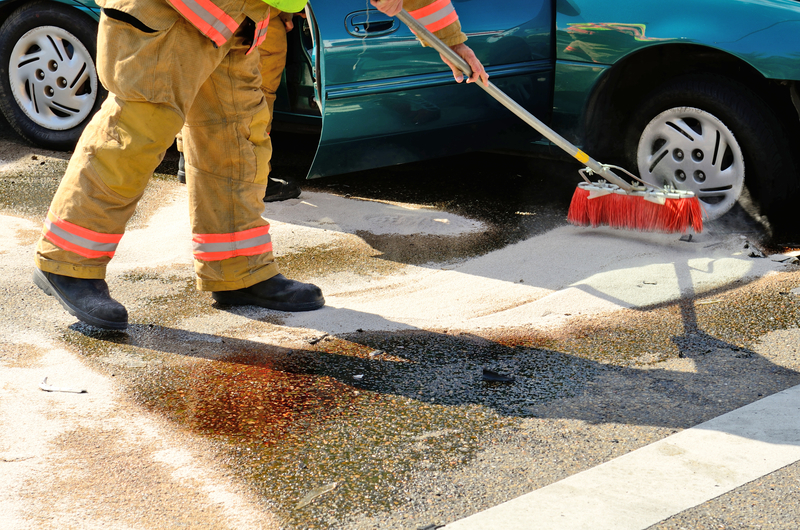 The Health and Safety Executive recommends having absorbent granules to hand in case of spills when handling petrol and diesel on garage forecourts, especially during incidents when diesel has been pumped instead of petrol, and vice-versa. How many of the latter incidents take place in the UK each year? 7. Naturally-occurring organic materials used in the manufacture of absorbent granules are found in the greatest proportion in which of the following? 8. Spill Control Centre offers a wide range of absorbent granules for a variety of applications. Which of the following statements about them is not true? 9. Ten litres of which of the following will absorb the most? 10. Apart from being effective absorbents, which of the following is true for most of the absorbent granules offered for sale by Spill Control Centre? 1. C. Cellulose, a chain of linked sugar molecules found in plants. Celluloid is considered to have been the first plastic, with the name registered in 1870; Cellulite is subcutaneous fat that causes dimpling of the skin. 2. A. Hydroflouric acid. This will eat through almost anything, including glass and metal, so storing it can be a bit of a problem. It is a valuable tool in etching glass, cleaning stainless steel, and preparing silicon wafers for use in silicon chips. Storage is in special plastic bottles. 3. B and C. Bentonite and Attapulgite are chemically similar, but have names derived from their source. The former was named by Wilbur C Knight in 1898, after Benton shale found near the Rock River in Wyoming. Attapulgite is most commonly found in the south-eastern USA. The name comes from the town of Attapulgus, Georgia, where the mineral is surface mined. Kryptonite is pure fiction; part of the Superman story. 4. A, B and C. 10g of granules can absorb a litre, so it naturally follows that the same amount can also soak up the two smaller quantities. These granules are best supplied with other equipment, such as PPE, as part of a body fluid spill kit, allowing employers to extend their duty of care to whoever is cleaning up the spill. 5. False. Absorbent granules are chemically inert, so although they have soaked up what’s been spilled, the properties of the spilled liquid have not been changed. Used granules should therefore be disposed of in the same way that the spilled liquid ought to have been disposed of, in clearly-labelled bags. 6. B. More than 100,000. The HSE believes the number to be about 120,000, or more than 325 a day. 7. A. Cotton. The material in question is cellulose, which makes up about 90% of cotton, making it the obvious choice for towels. 8. C. Although many of the products are very versatile, they are not all equally effective on every spill. 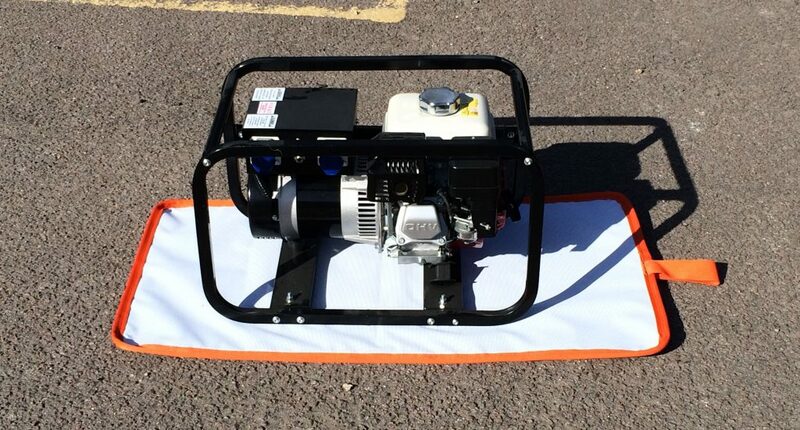 Our product pages contain details of each one’s suitability for your kind of spill. 9. C. The XR85 granules. Ten litres of these will absorb six litres of spill, as against five litres for the XR60 and four for the XR70. (However, don’t write the XR70 off; it’s extremely effective on interior oil spills, light and easy to handle, and its cost works out at just 83p per litre of oil absorbed). Factors such as physical structure and suitable location need to be considered in the purchase decision when working out which is the most effective option. 10. A, B and C. Spill Control Centre is the home of an extremely comprehensive range of spill control products, of which absorbent granules, in all their forms, are just a small part. This entry was posted in Absorbents and tagged Absorbent granules, Quiz on August 1, 2016 by neil.stocks.